You can read more about life at Bridgewater in our prospectus and in our parent/carer handbook. Our annual review highlights some of the broader life of the school beyond our core curriculum. 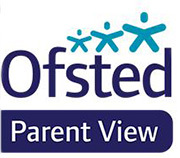 We have captured our parents' and carers' and our pupils' views of the school in our Parent Survey and Pupil Survey. It’s our vision at Bridgewater Primary School that every child gains resilience through belonging, the confidence to experiment, and a lifelong love of learning. If a child is down, others lift them up. When a child excels, everyone celebrates their success. By knowing they belong, through good times and bad, the more considerate, confident and capable the children become. In every classroom and every corner of our expansive grounds and Forest School, we're making sure every child feels safe enough to take risks. Our passionate staff are committed to the very latest creative techniques and the children are discovering exciting ways of learning and developing the drive to do their best. This inspiring learning environment and sense of community our children, teachers and parents have created makes Bridgewater Primary an exciting place to be. To be a community which excels in the academic, cultural, personal and social development of all pupils. To foster a culture of genuine respect for others, irrespective of age, race, gender or disability, as well as respect for ourselves. To ensure that all our pupils are healthy and safe, and are given the opportunity to achieve success in all their undertakings, irrespective of age, race, gender or disability. To foster a culture of encouraging a genuine love of learning and a genuine determination to achieve and succeed. To enable our pupils to become resourceful, enthusiastic, independent young people who can learn from their mistakes and who are not afraid to try new things. As a school and as individuals, to be an active and valued part of the community and make a positive contribution to society. Every month we bring the values to life for the children by focusing on different behaviours, including politeness, happiness, perseverance and honesty.